10 Camping and Hiking Stoves - what stove is right for you? Like many camping products, choosing the right piece of camping equipment can be a little confusing. We are spoiled for choice. 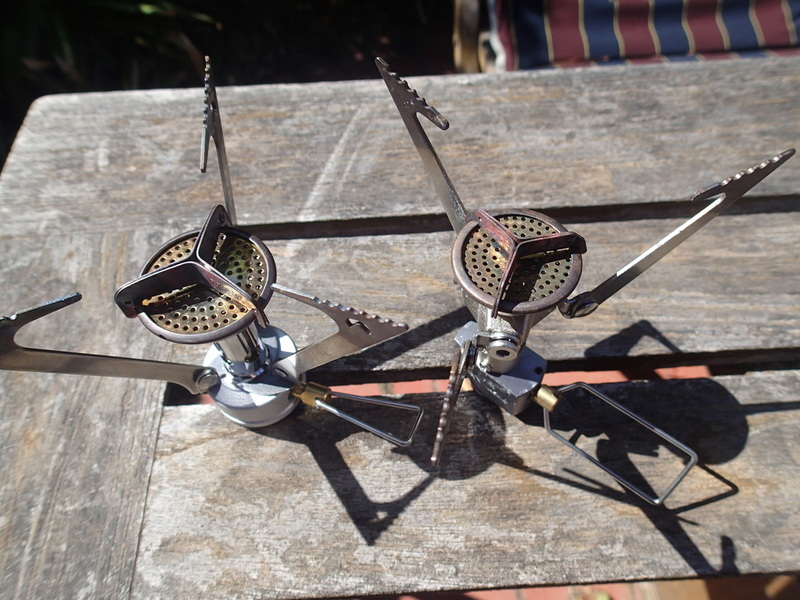 But how to choose the right camping stove for you? Your camping stove will depend very much on how you like to camp. If you have a vehicle to get to your campsite, your stoves can be as bulky and heavy as you can manage. If you have to carry your stove in your backpack, then you have many options for the sort of stove you can choose from. At Go Camping Australia, we do car camping and backpacking camping, so our range of stoves is varied. So what sort of stove is right for you? Below, you can see all the stoves we currently own. Yes, we seem to have a stove for every occasion! We highlight some pro's and con's about each one, and who they are most appropriate for. An important note: if you are looking for smallest and most lightweight stoves - we cover those in greater detail in another story - read that story here. This is a classic for camping with the family. In fact, our 2 burner stove (passed on to us by older campers) is now over 40 years old, so it is certainly lasting and remains a reliable cooking source. Most of the big camping manufacturers make a version of these 2 burners stoves and they range in price and quality. What you get, generally speaking, is a stove with 2 gas elements, with a good simmer option. They have windshields at back and side, and fold down quite well. A portable gas bottle is required. Suited to anyone who needs a reliable cooking source, and ability to cook using more than 1 pot/pan simultaneously. What is good about this stove? Not many negatives if this is a car camping stove. It does the job its designed for, but just takes a little more room in the car (with the gas bottle) and probably best utilized on a table/bench. Naturally, if you have to carry far, then you might be thinking of another option (which we will cover below). The need to carry a LPG bottle as well adds to the load. We have reviewed this stove previously. See the Primus Omnifuel review here. This is a great back up to the 2 burner stove we have mentioned above. That’s because it’s a powerful stove, capable of boiling water quickly and efficiently. Who would use this ? Light enough to carry easily to a walk in campsite, though not considered a lightweight cooking device. The price of it may put it out of the reach of some, but quality will cost, and this is one such item. This stove is a cheap alternative to the ones mentioned previously – and readily available across Australia. I have seen them in Woolworths, Big W, Kmart to name just a few stores (not specifically camping related ones). 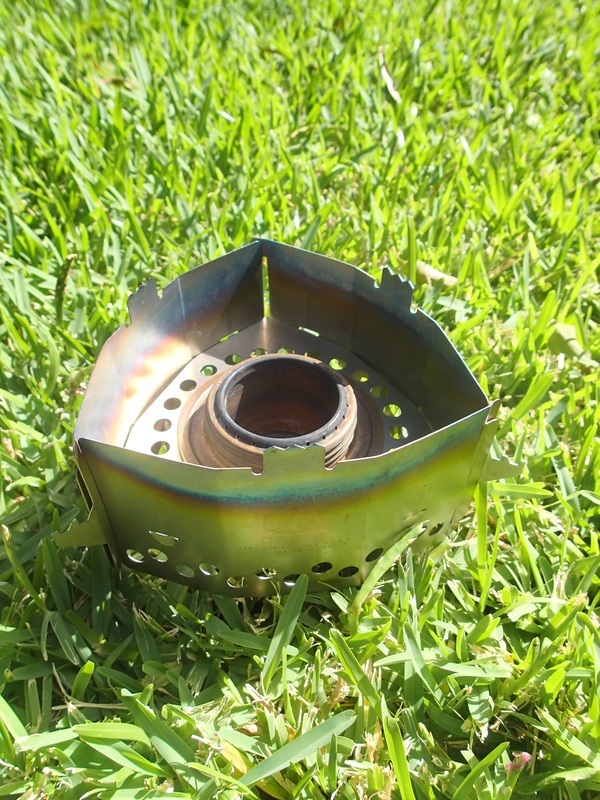 This availability might account for their popularity with first time campers, plus the fact they are inexpensive – expect to pay anywhere from $15-30 for this stove. It is a one burner stove (most of the time, though have seen 2 burner) and needs butane cartridges to power (sold separately but often in bulk purchase). 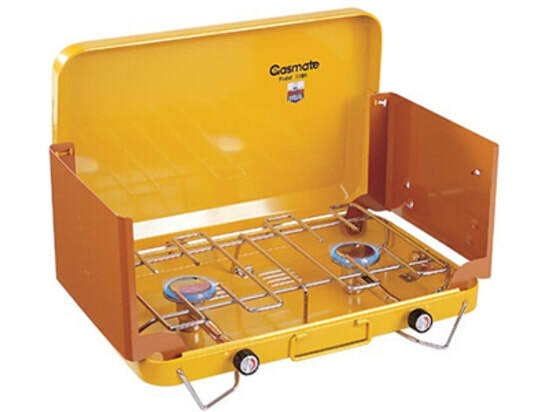 Many campers use these stoves as a back up option when campfires or BBQs are not available. Who would use this stove? This stove is one of the preferred stoves of anyone looking for a lightweight stove, which is why you will find many backpackers using this Swedish stove. Whilst many other companies now make stoves that work in a similar vein, the Trangia continues to be the stove of choice for many (since they first appeared in 1925). Many stoves are known to fail or not perform as they should when needed, but from our experience and talking to others, this is one stove that you can depend upon. ​ A lower windscreen/base, an upper windscreen, two pots, a lid, and a burner (for methylated spirits). There is also a pot gripper and a strap holds all the components in the larger pot, together. Very neat and functional. We have also purchased separate components, including a kettle. Should you wish to use a gas burner that is also an option, and easily incorporated into the cooking system. Not designed for cooking for large numbers of people (we own the Trangia 27) but if you plan on cooking for more than 1-2 people, you can purchase larger models. The above photo shows the Trangia with the gas burner option and canister. This is an alternative method to using the burner contain methylated spirits. We have previously reviewed this stove, which you can read about here. 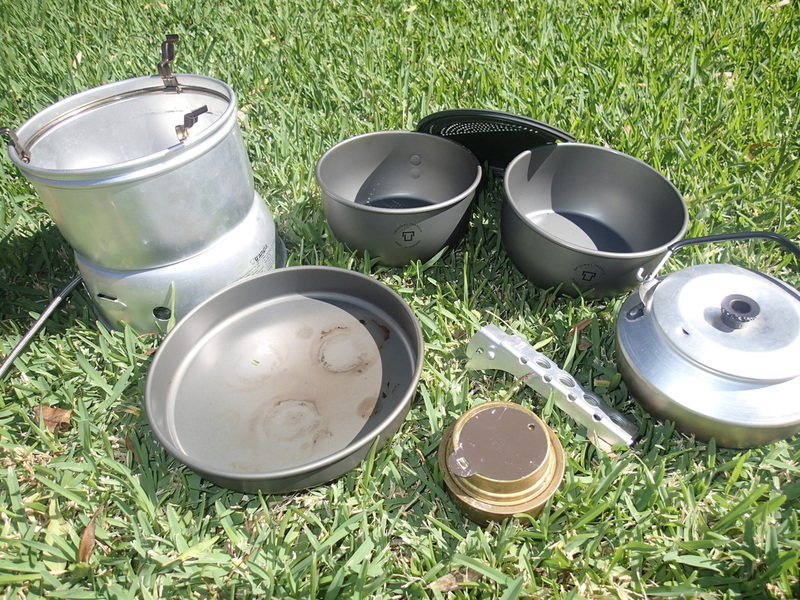 This was the camping stove used by us on The Overland Track (and all the details on that epic trek can be read here). This canister mounted stove is the lightest of all the stoves produced by Cascade Designs (makers of MSR products) but is a strong and reliable cooking source for anyone looking for ultralight camping gear. 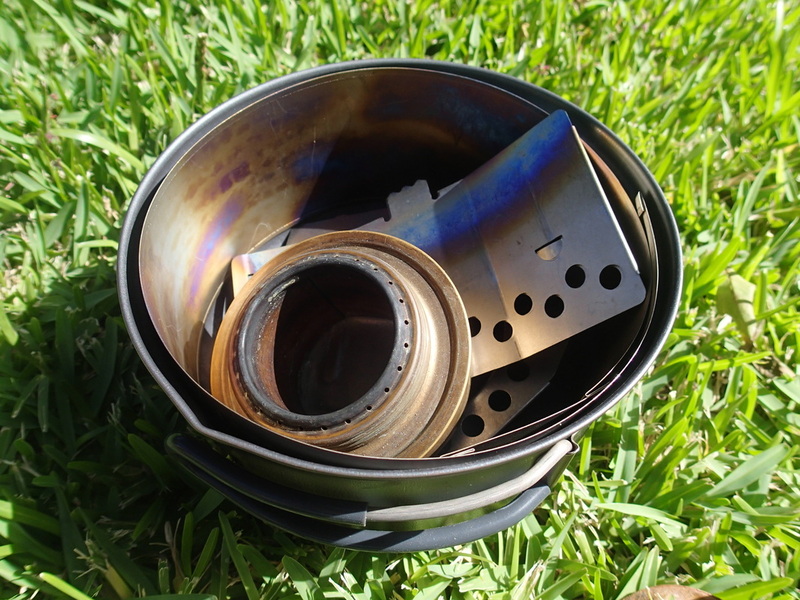 The Micro Rocket came out after the MSR Pocket Rocket stove (which had complaints that the pot supports were a little unstable and too small). 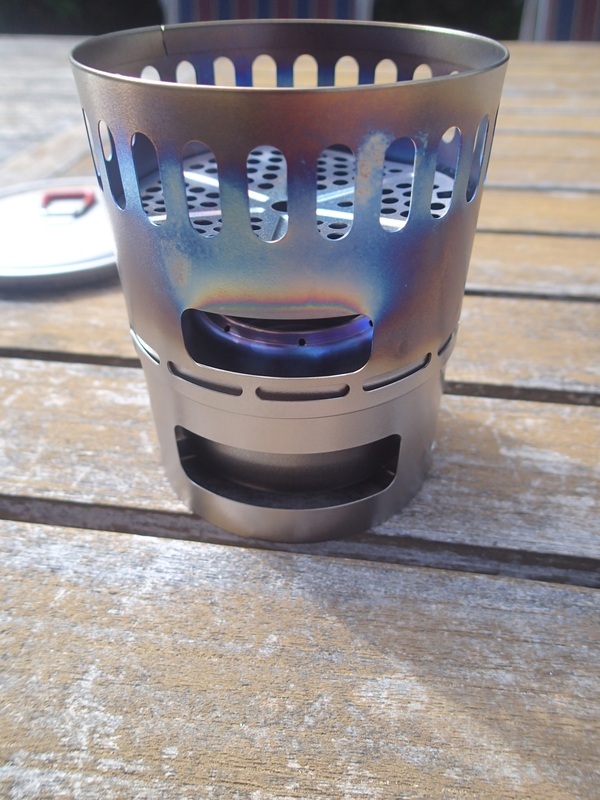 The Micro Rocket fixed those issues, and why this is the better stove of the two. Consequently, the Pocket Rocket doesn't get much use by us these days. Remains difficult to purchase in Australia. Try a overseas Ebay seller if you are having trouble locating it. Try to buy at: Overseas retailers will have the cheapest options. Below photos give an indication of the size difference between the Micro Rocket and the Pocket Rocket (review below). 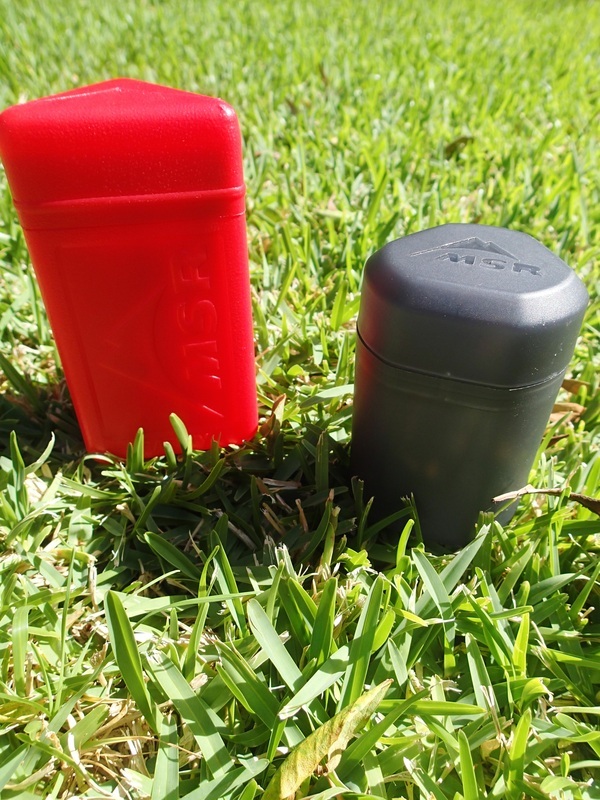 The red storage container is the Pocket Rocket, the black, the Micro Rocket. Out of their containers, at a quick glance, there is not much difference visually between the Micro Rocket and the Pocket Rocket. Read on, to find out more about the Pocket Rocket. This stove was our first MSR purchase, and shortly after purchasing, we then got the Micro Rocket (see our comments above). This stove does everything the Micro Rocket does in terms of cooking, but doesn’t have the same stability for cooking, and is slightly larger and heavier. This canister-mounted stove is still a good purchase, but we do tend not to use it as much as we initially planned. With both this stove and the Micro Rocket, they come in a hard protective cases. It is advised that you use these cases whenever not using the stove, to protect the supports, especially in the case of the Pocket Rocket, as they are a little flimsier. Where to buy: Overseas retailers are the best option. If you are struggling to find the above stove in Australia, there are other options, though not as small, but all by MSR. They are all effective and definitely worth investigating further. The WhisperLite International - this uses multi fuel options, including unleaded petrol. Great for those who do backpacking, or maybe not needing to cook for larger groups. It is the more accessible version of the Micro Rocket. The Dragonfly MSR Multi-Fuel stove is another MSR choice. The extra wide pot supports means you won't lose your pot of boiled water easily, and another stove that allows you to use a wide choice of fuel. With a packed weight of 510g, if you are wanting a stable stove, then this might need you to check it out. 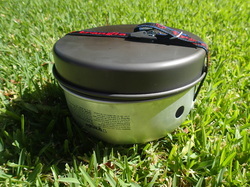 One of our first stoves we purchased for bush walks etc, and you can read our review here. Since we purchased it, many different models and accessories have come out to work with it, including pots and fry pans. 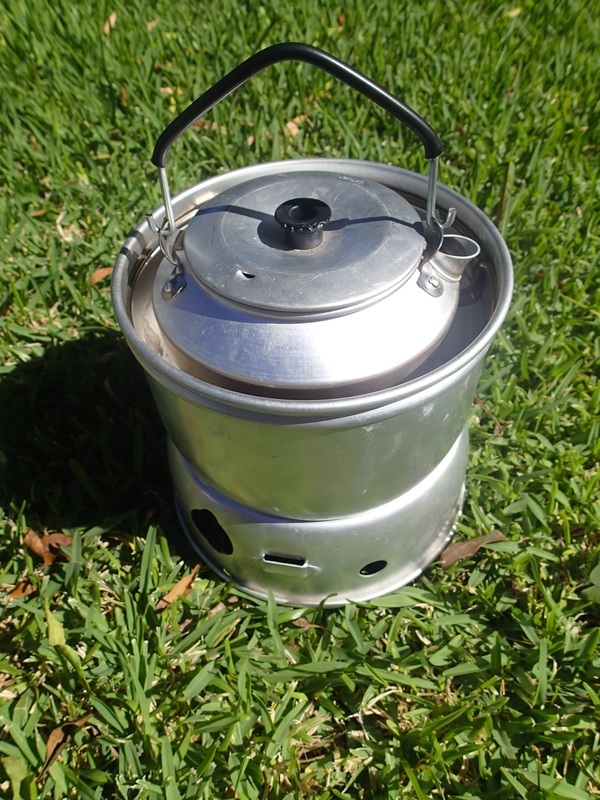 We use this cooking system on short range bushwalks – no walks where weight is a big consideration. It’s our stove that we use to boil up some water for a cup of coffee (outside panel on the Flash changes colour when the water is boiled) but we don’t use it for cooking. Of course, you could, and that is why there are accessories that allow you to do so, but for us, we find that there are better and more versatile cooking systems out there. This stove takes you back to the more simple way of cooking – back to basics – with using wood as your fuel source. Coming in a nylon pouch, you find 5 flat titanium plates that all lock together. This takes a little bit of time to work out initially, but practice does make perfect. The idea behind it is that once assembled, you feed wood through slots to get the fire going, and then put on your pot, and start cooking. But you can also use a small alcohol stove placed inside the locked-in plate design (and that then provides a windshield too). At time of writing this article, this was one of our newest camping stoves - and comes with additional accessories (for separate purchase, including a titanium trivet and DX stand). It's an Ultralight camping stove option and packs down very neatly and with ease. The burner has 2 set of burner holes; one at the top, the second on a tier, lower down. This allows a gap between the burner and the pot when using the DX stand. Alternatively, if you don't have the DX stand you can put the pot directly onto the burner (and therefore stopping the top burner holes from being operational, but the lower burner holes will remain functional. You will now have a simmer as opposed to a boil). There is also the choice to use it as wood burning stove. Difficulty in extinguishing the flame - in fact, you just have to wait for the alcohol to run out. This requires you to use caution when finished cooking, and fuel is left. Boil time seemed a bit slower than other stoves like Trangia. 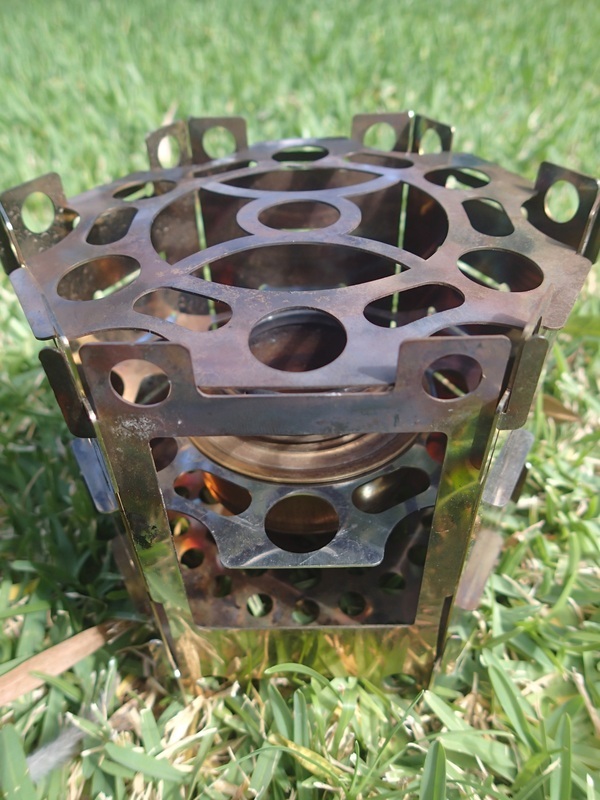 This is a very simple and accessible lightweight camping stove. Well, technically, its more of a pot stand, but you will see how it turns into a stove. We use in conjunction with the Trangia burner - and using the Clikstand, allows you to create a sturdy pot stand and therefore a small stove. The photo above gives you an idea on how it looks. An easy and quick option for your cooking needs. Like all alcohol stoves, harder to light in cold weather.